Located on the ground floor of Invito Hotel Suites, Hubba is decked out in bicycle installations and quirky quotes on the walls. 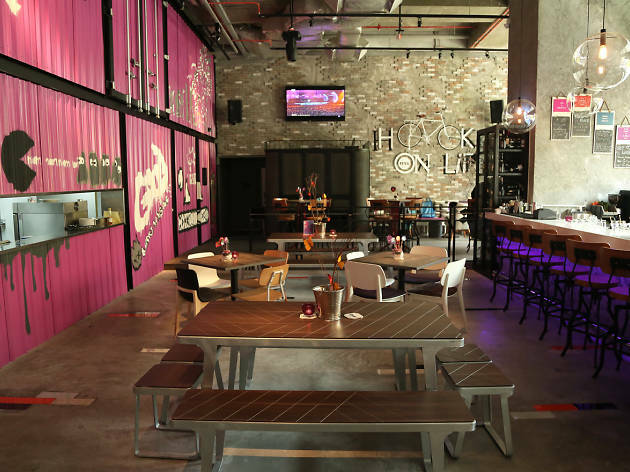 This restaurant and bar is the latest venture from the company that brought you SOULed OUT. The menu is quite extensive, ranging from grilled items and salads to popular Asian and western dishes such as fish and chips, Portuguese seafood rice and beef rice noodles. 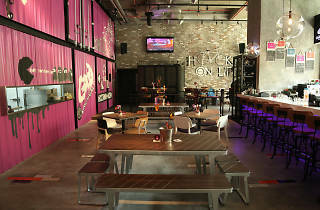 As for the drinks menu, you can expect a variety of martinis, shooters and also cocktail towers.